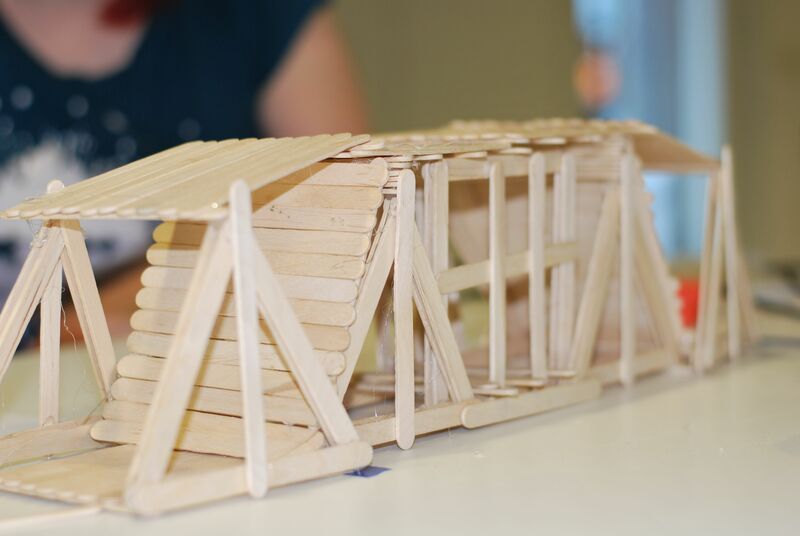 For Engineers Week, we are holding our third annual bridge building competition in Science Gallery on Saturday 14th of February. This is a family-friendly competition that puts teams against one another to build the strongest bridge. Engineering theory and building materials will be provided to help you during construction. Last year’s winning team, created a bridge that held over 41KG with no sign of breaking. Check out some of the destructive testing here or photos in our gallery. Update: We have added a second session due to popular demand. When: Saturday, February 14th. From 3pm until 5pm. When: Saturday, February 14th. From 12.15pm until 2.15pm. This event is only possible with supported from TOG, Science Gallery Dublin, Engineers Ireland and IMechE ROI YMP. This was written by tdr. Posted on Thursday, January 8, 2015, at 10:34 pm. Filed under Engineers Week, Workshops/Events. Bookmark the permalink. Follow comments here with the RSS feed. Post a comment or leave a trackback.